Despite the rhetoric of anti-Islam bashers, including those regularly featured by the Zionist controllers of Coast to Coast AM, five Muslim countries are ranked more economically free than Israel in the conservative Heritage Foundation’s 2013 Index of Economic Freedom. Israel is ranked in 51st place with a 66.9/100 index, embarrassingly only slightly ahead of Jamaica, with an index of 66.8. The excuse may be that they are rich Gulf oil states, but Saudi Arabia is in 82nd place, and Jordan is a notable exception, showing that lots of oil doesn’t equal a high economic freedom rating, nor is it a necessity. 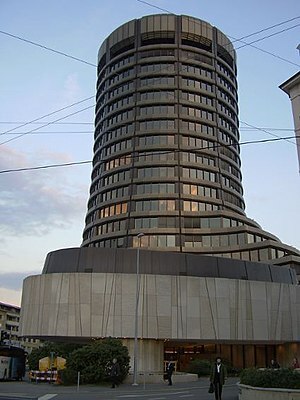 BIS rules, according to Ellen Brown, prohibit governments from borrowing from their own central bank or issuing their own money. Among its current 60 members there are five Muslim-majority countries: Algeria, Malaysia, Saudi Arabia, Turkey, and United Arab Emirates. 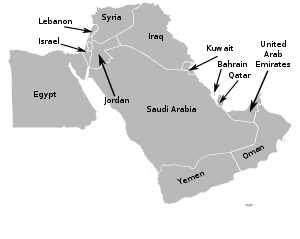 Note that among all the Muslim-majority countries that have had massive uprisings (Tunisia, Egypt, Yemen, Bahrain and Syria) or U.S. bombings (Afghanistan, Iraq, Pakistan and Libya), none of them were members of the BIS. The U.S. and NATO turned a blind eye to BIS member Saudi Arabia suppressing an uprising in neighbouring Shiite-majority Bahrain. Despite pretenses of Saudi Arabia and the UAE promoting Shariah-compliant banking as a strong challenge to the current world banking system, their membership in the BIS should indicate otherwise.